The e-wallet service from the world’s leading lifestyle brand for gamers makes its global debut in Malaysia. 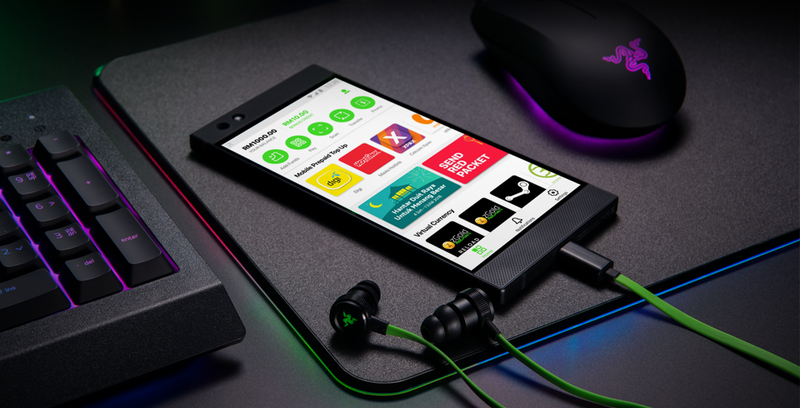 4 JULY 2018, KUALA LUMPUR, 1500HRS – Razer, the world’s leading lifestyle brand for gamers, today launched the Razer Pay e-wallet in Malaysia, making its global debut in the heart of Kuala Lumpur. Razer Pay in Malaysia is a partnership between Razer Inc. and Berjaya Corporation Berhad. The fund was set up by the Finance Ministry of Malaysia on 30 May 2018 as a crowdfunding initiative to reduce the country’s national debt. From 4 July to 30 Aug 2018, Berjaya has committed to donating RM10 with each first use of the Razer Pay wallet at participating Berjaya outlets, subject to terms and conditions. To get started, download the Razer Pay Malaysia app from the iOS App Store or Google Play Store. Upon successful sign-up with a valid local mobile number, users will receive RM10 bonus credits to spend using the app. The credit is non-transferable, cannot be exchanged for cash and will expire after 90 days from account activation. 7-Eleven, Starbucks, Singer, Cosway, Greyhound Café, Wendy’s, Kenny Rogers, and Krispy Kreme at launch. Subject to terms and conditions. Established in 1984, Berjaya Corporation Berhad (“BCorp”) began as a steel company and since then, it has grown into one of Malaysia’s largest conglomerates. BCorp’s diversified businesses include consumer marketing & direct selling, property investment & development, hotels & resorts and recreation development, gaming & lottery management, food & beverage, financial services, environmental services & clean technology investment, motor trading & distribution, and tele-communication and information technology-related services, solutions and products.